We try every single day to achieve something great in our lives, but we do not always succeed. It takes courage to get up every time we fall. It takes wisdom to learn from them. Making mistakes shouldn’t halt us. We should continue the task and study from the mistakes periodically.On the contrary, we should consider mistakes a learning tool to succeed next time we try. “He who makes no mistakes makes nothing”, it is honorable to make mistakes, because we tried and it is useful because we learned. It gives the motivation to achieve goal faster. Such a life inevitably involves making mistakes, but the only way to create is to make an effort, fail, and learn from those failures. Many of us, when we first try learning different things, inevitably bring along a consumerist mentality as we look for a quick fix. In the modern mind, it seems there is no problem that we can’t buy our way out of or pay someone to fix for us. 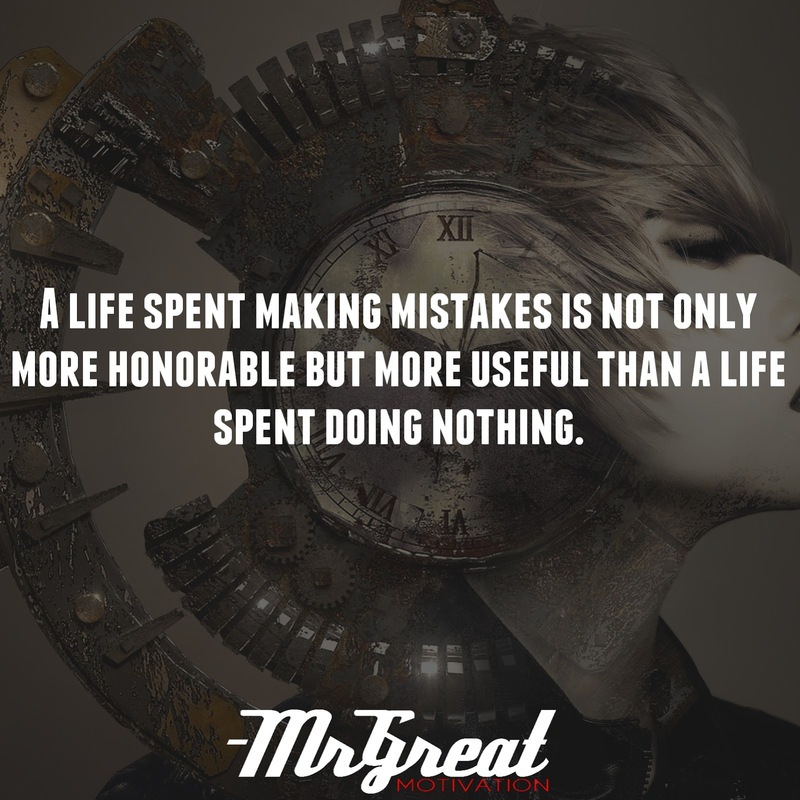 Those who adopt this attitude of making mistakes not only live “honorable” lives but are frequently very “useful” people. Those who are determined to succeed frequently do so in spectacular fashion, and they are often highly effective individuals, shaping not only themselves but the world they live in, and leaving a legacy that gives them something approaching the immortality that we actually need to find.